Put that in the “KernelAndKextPatches” section of your Clover config.plist A big thank you (twice) to Marc aka Mork vom Ork for providing the data of my patches. Note: It currently works well enough for a wider release – hence sharing the data here – but there are probably a few more things that can be done to polish it up a little, but I only want to do this after a long testing period. Also. I have no intention to work on support for El Capitan or older versions of OS X. My focus is on patches for macOS Sierra only. 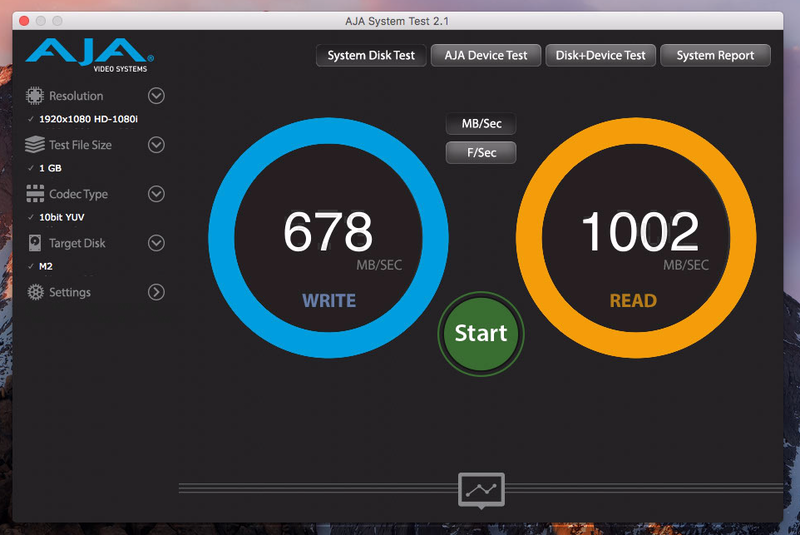 The above output was captured after I ran a AJA disk test (see below) and yeah the performance is still a bit of a question mark, but perhaps this is due to my remote login, Sierra Developer Preview, or my patches need a little more love. I don’t know. Yet. Still rough. Will keep you posted. Let’s not forget people. Your data should be absolutely safe so please relax and wait. Let me do my thing first. Edit: I need a couple of AJA disk tests of the 256GB and 512GB modules so feel free to drop me a line per e-mail and I’ll share my current version with you. Sierra users only! Update-2: Made some changes and now the read performance went up with ~700 MB/Sec. Update-3: The RacerRehabMan’s AJA test screenshot that I received per e-mail pretty much confirms it; both the read and write performance of the patched binary is fine – the write speed of the 128GB modules is just a tad bit less impressive (per factory specs). Update-4: I have replied to a dozen of e-mail requesting the patched binary, for testing, so please check your inbox. If you did not receive my reply, then please ping me once again. Sorry for the delay, but I had so many request that I lost track of it. Update-5: Marc (Mork vom Ork) confirmed that my patches are working, and he was so kind to provide the patch data for Clover users which we share here for you. Thank you Marc! I don’t know what is going on but ark.intel.com appears to be broken (hacked?) because all I see now is some (Microsoft related) information about Internet Information Services 8.0 Not what I need. 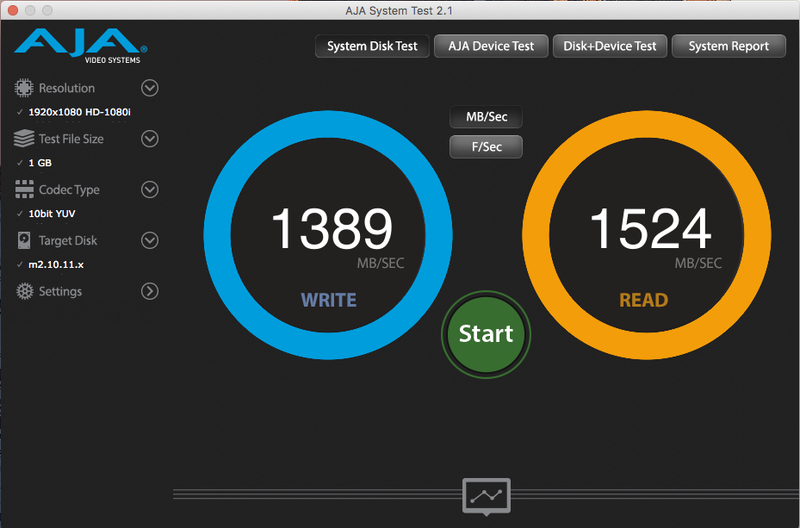 Think debug output and skipping the ‘Apple SSD’ check, but this is it for today. Sorry. Had a long day here so I am going to my bed. 1.) Fix Info.plist so that IONVMeFamily.kext will load. You can use whatever value and method you like. The good news is that now the IONVMeFamily.kext will load, but errors out over a LBA_DATA_SIZE error so we are going to fix this also. 2.) Patch the LBA_DATA_SIZE aka the block size shift value in the binary – change 0xc to 0x9) so that it initialises the IONVMeBlockStorageDevice. Thing is. Apple uses ‘Preferred Block Size’ of 4096 KB (1 << 0xc) but the Samsung firmware only gives it 512KB (1 << 0x9) so we also need to solve this issue. And we can. This will fix the ‘Size’ and ‘Preferred Block Size’ errors, so that diskutil list reports the right size, but the minute you do this, then the kext will error out (see verbose log output). The next hurdle is to patch other values like changing 0x1000 to 0x200 and 0xfff to 0x1ff. 4.) Now someone else can have a go at it… or in your dreams. No worries. I did it already so go read IONVMeFamily.kext is a GO. and: Apple Serial Numbers Ending With G000-GZZZ. Didn’t Tim Cook say that it will be a late christmas for everyone? No. I personally don’t care about Apple’s plan to rename OS X to macOS and I also don’t care about iOS 10 and its GUI changes, or OS X 10.12 either. Sorry Tim, but that to me is all minor stuff. And I don’t expect any innovation from Apple in this area. Ok. Siri may be a great new feature for OS X 10.12 (and a long-overdue one) but I personally won’t use it. New hardware? Well. If Apple really want to keep the hardware interesting for its user base, then that is definitely something that they will need to do. And pronto. About that touch strip to replace the function keys. Nice, but that is not a major change. The hardware will still be assembled in China, with a high(er) price tag (than competitors), and everything will still be soldered, even more so, so you cannot update anything without voiding your warranty or bricking the darn thing. The current MacPro with outdated processors and graphics cards is one example of Apple hardware that needs to be updated. About expanding ApplePay to more countries? That is going to happen, soon, but that is nothing more than an absolute necessity. Not that I need a credit card for anything, because we only use debit cards here. Backups to iCloud? That would be cool, but it’s not an absolute necessity. Solving the problems in AppStore? Another absolute necessity, but don’t expect any innovation there. AppleTV and tvOS? Please. Give me a break. You can’t be serious. That is still a hobby project. But if that is the ‘late christmas for everyone‘ that Tim Cook was talking about, then we need a new Santa Claus (LOL) because I won’t be happy with my christmas present(s). So what would make me happy? Hmm. Another “one more thing…” moment perhaps. The day that people can start ripping that stupid white Apple logo from the back of their cars… and get one with Apple carOS may change my mind. It will be expensive (wink wink) like anything else that Apple sells, and that won’t change in the near future (or AAPL will need to fail) but an Apple (electric) car would definitely be something to look forward to. Let’s see if Apple can still be innovative and crush Tesla. However. This of course won’t happen until Apple buys Tesla! I mean. Who else? 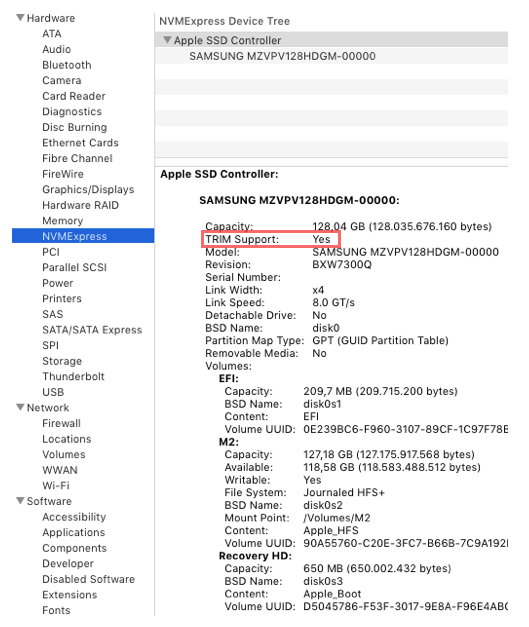 Tip of the day: Get a new SSD or have one ready for OS X 10.12 (get ready and install OS X 10.11.6 on it).